Available in 21" and 26"
This Smith & Wesson® Heat Treated Collapsible Baton gives you the upper hand in any self-defense encounter. Deploys with just the flick of a wrist, and 360º sheath lets you customize the draw angle to fit your body. 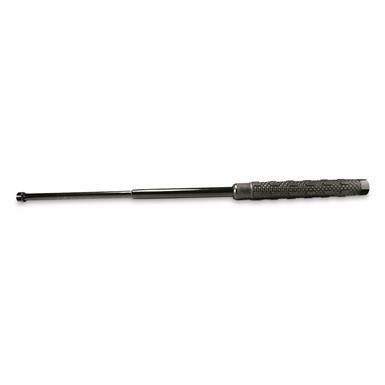 Glass punch on tip lets you quickly escape from behind the most stubborn automotive glass.